• For me, it disappeared in a series of exercises, time spent lying on my stomach and other get-your-back-better responsibilities. For you, I’m guessing, it either disappeared in a fog of yard work or the haze of sports watching. Both were available in abundant supply this weekend. If you are a Mariners fan, then maybe you spent the weekend trying to forget. If you are a fan of the Astros, why are you reading this? If you are a boxing fan, then you won’t want to read this – but you probably should. And for everyone else, it’s going to be another beautiful day. Call in sick to work if you can. If you can’t, make sure to find some time to get outside. I’m even going to try today. • Before we move on to the links, I wanted to pass along this story in the New York Times today. It involves Michael Jordan, LeBron James and a Spokane resident. Years and years later, Craig Ehlo is still asked about the shot. Let it go already national media. • WSU: Not a lot of Cougar news today, though we found this Salt Lake Tribune piece on Luke Falk and the WSU football team. ... Jon Wilner summarizes last week’s Pac-12 football coaches’ conference call. ... And the WSU baseball team’s inability to catch a routine fly ball cost it a 2-0 loss to Arizona. • Gonzaga: The biggest news in these parts yesterday may just have been former UW guard Nigel Williams-Goss deciding to transfer to GU. Jim Meehan has the story and a blog post on Williams-Goss’ decision. The news is also covered by ESPN.com, CBSSports.com, the News Tribune and the Times. ... BYU's cost of attendance stipend is going to be sky high. • Chiefs: The last of the U.S. teams was eliminated from the WHL playoffs yesterday when Kelowna booted Portland from the Western Conference finals. • Bloomsday: More than 40,000 folks ran and walked through Spokane’s streets yesterday morning in the city's annual celebration of spring. They were led to the finish line by Kenya’s Lani Kiplagat Rutto, who won the men’s race. Tom Clouse has the story. ... Chris Derrick covered the women’s race, won by Kenya’s Cynthia Limo (pictured). ... The two combined on the story covering the wheelchair winners. • Seahawks: The draft is over, with the Hawks making enough interesting picks over the three days to earn passing grades from most every “expert.” ... Bruce Irvin tweeted yesterday the Hawks did not pick up his option. Talk about motivation. • Mariners: The M’s lost again. 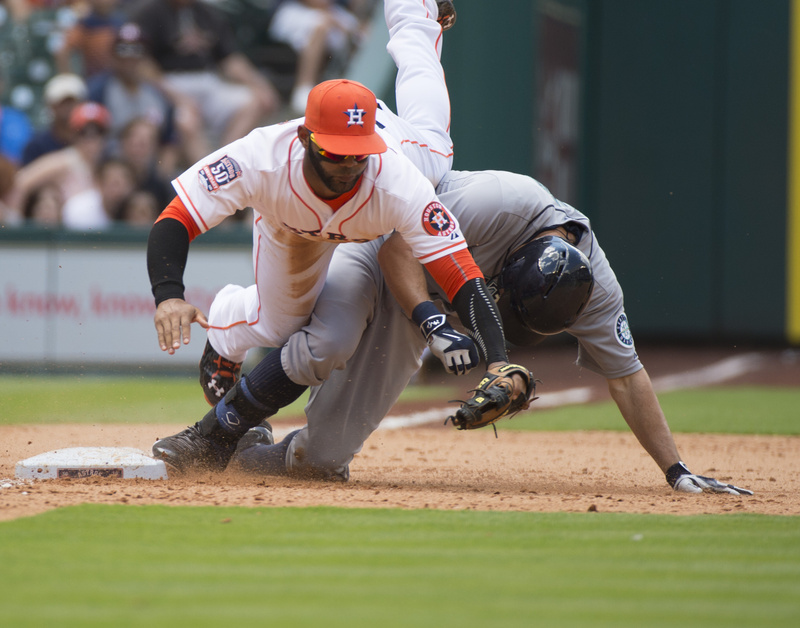 Four consecutive losses in Houston were capped by Sunday’s 7-6 defeat. The loss – or losses – not only dropped the M’s farther behind the front-running Astros, it also caused a shake-up in the pitching staff. 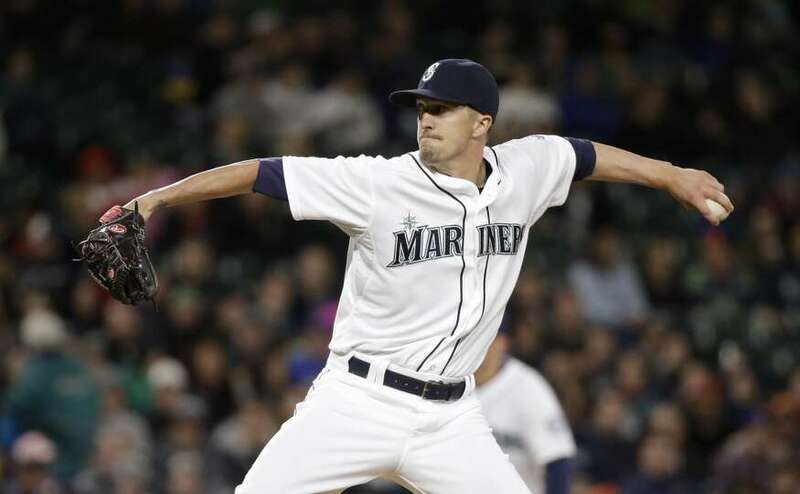 Spokane’s Tyler Olson (pictured) and Yoervis Medina were optioned after the game, with a corresponding move coming today before the M’s face the Angels. ... Austin Jackson tweaked his ankle but hopes to avoid the disabled list. ... The way the M’s are playing it seems as if they didn’t pay attention during spring training. • Sounders: The Sounders played their first match at Yankee Stadium yesterday and routed expansion New York FC 3-1 behind stars Obafemi Martins (two goals) and Clint Dempsey (one). ... The players and coach Sigi Schmid were happy with the performance.